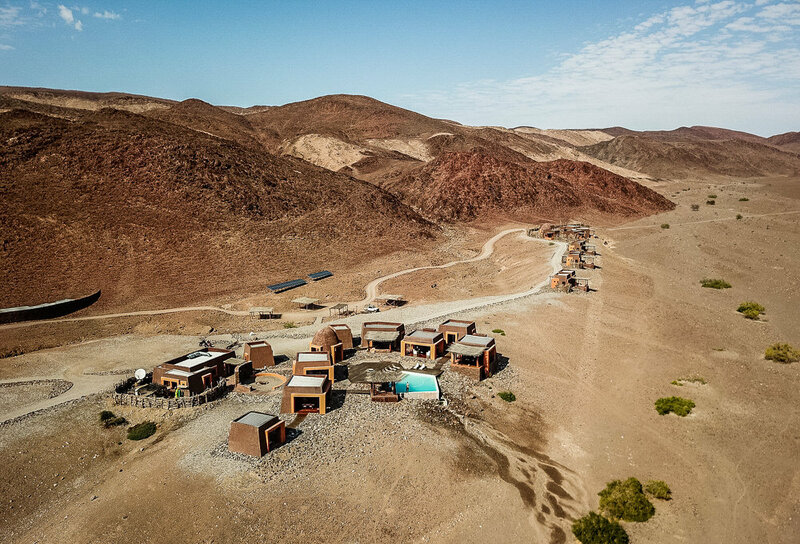 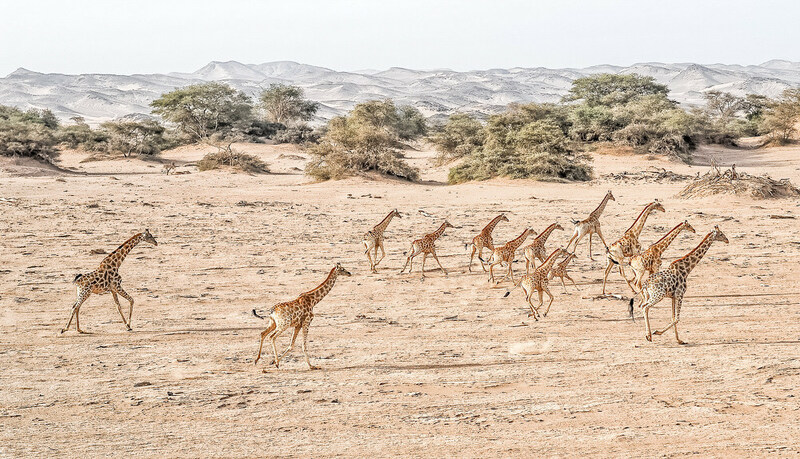 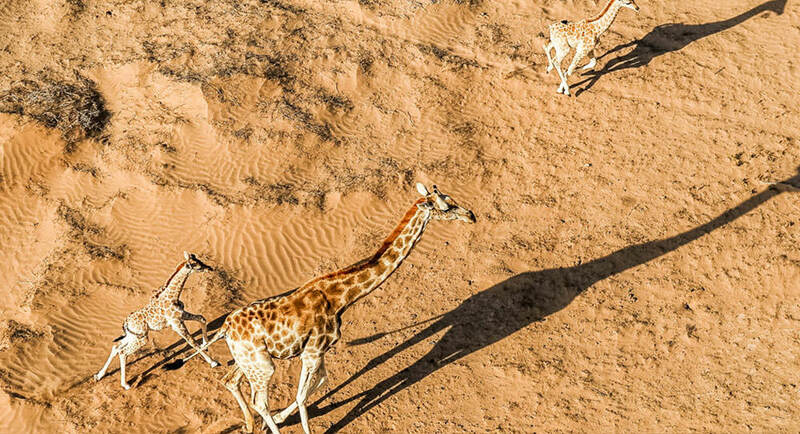 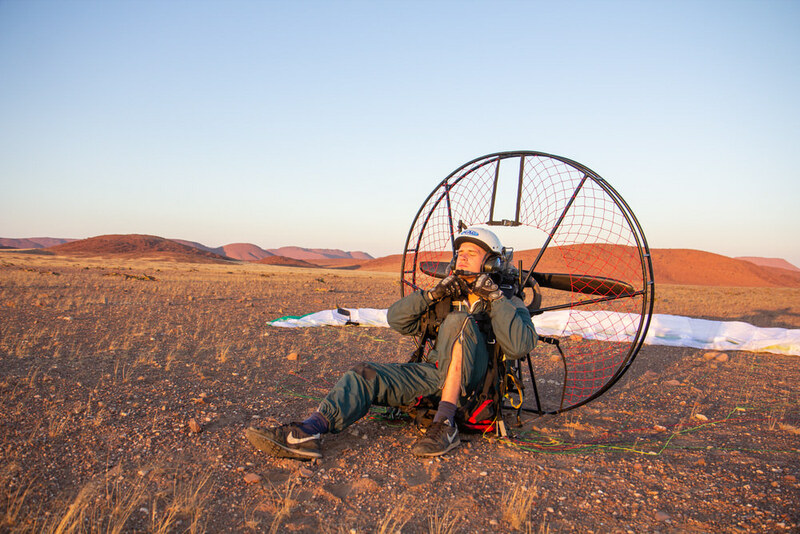 Flying Safari in Namibia - Socrates Projects - Personal Travel taken to a different level. 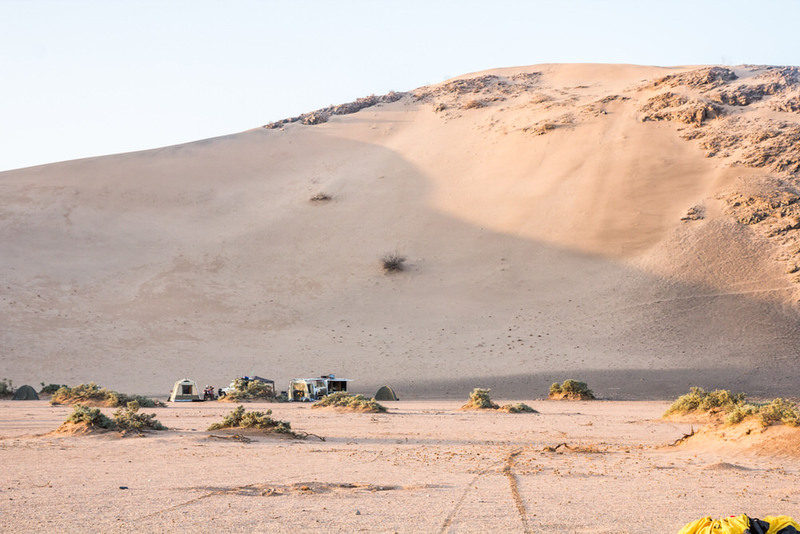 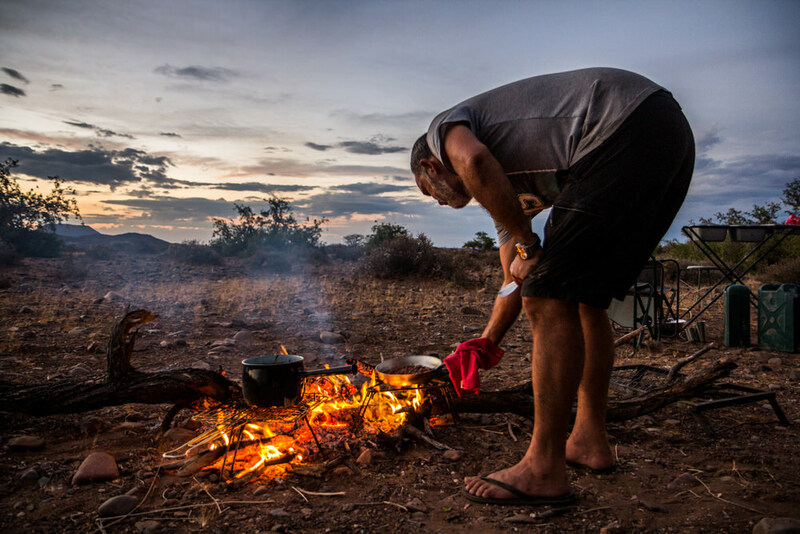 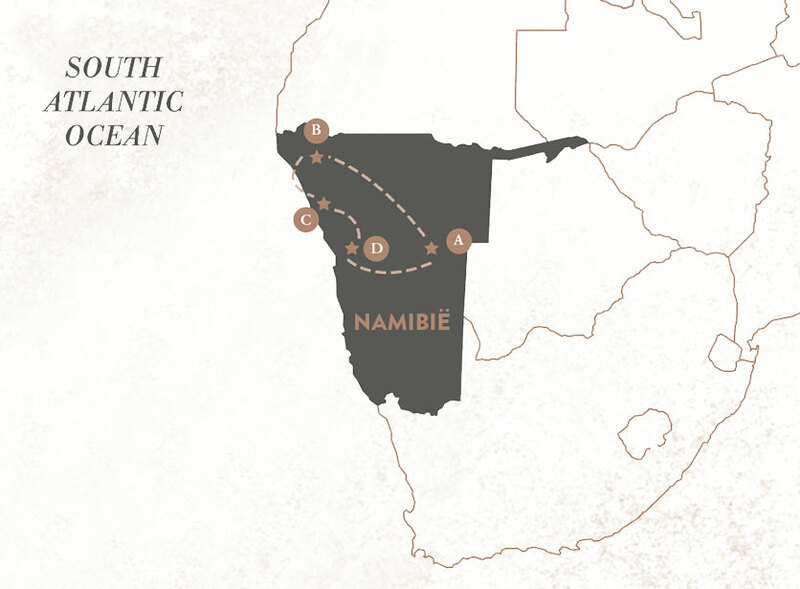 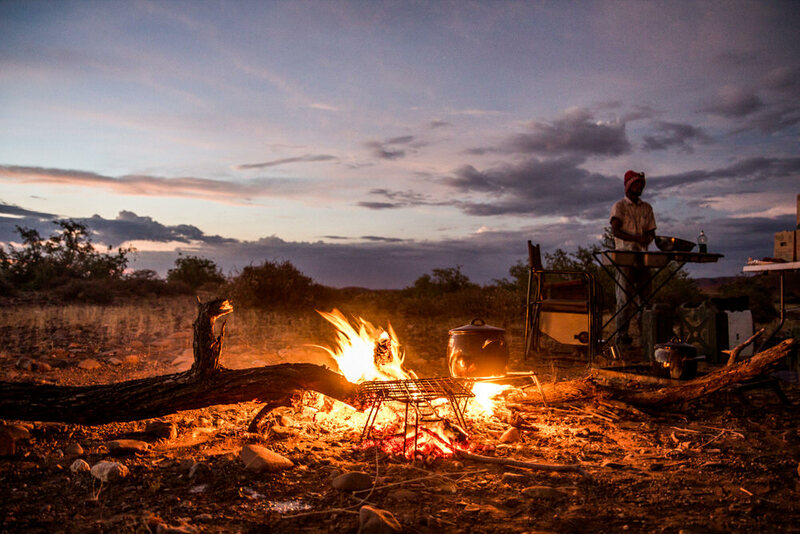 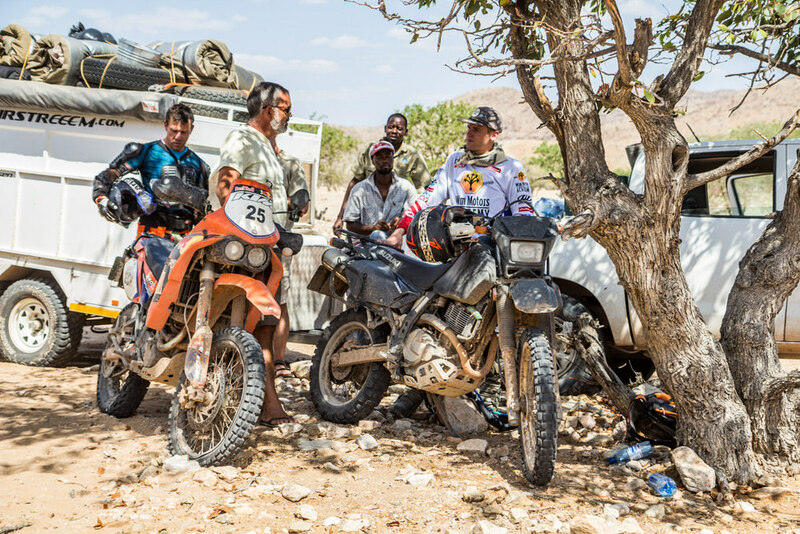 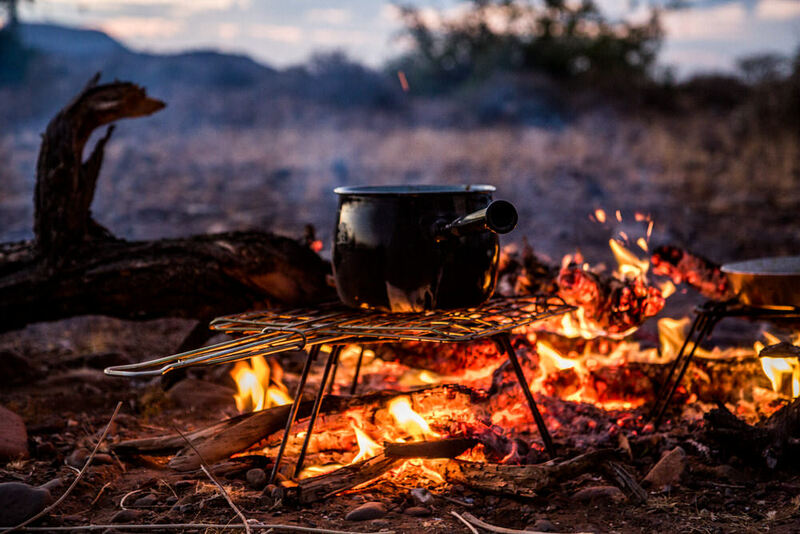 Travel 14 days and cruise thousands of kilometers over forgotten dunes, wild beaches and canyons through lost parts of North Namibia. 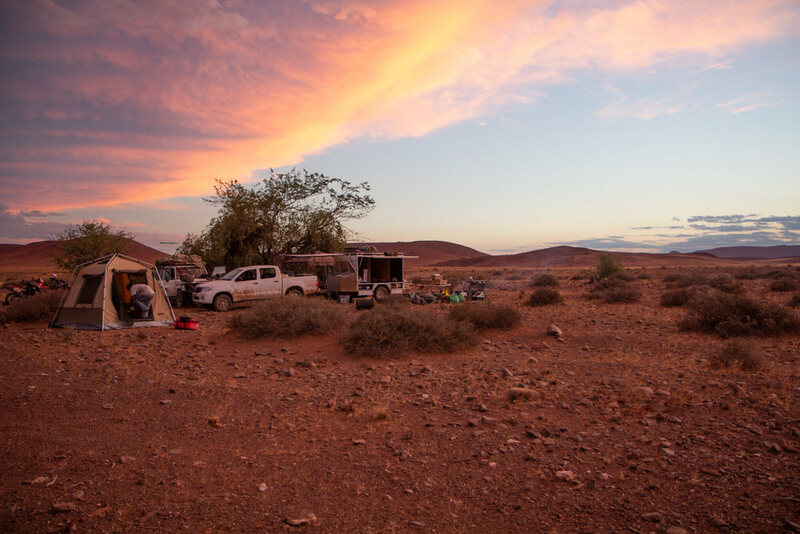 Worlds away from the tourist swarms. 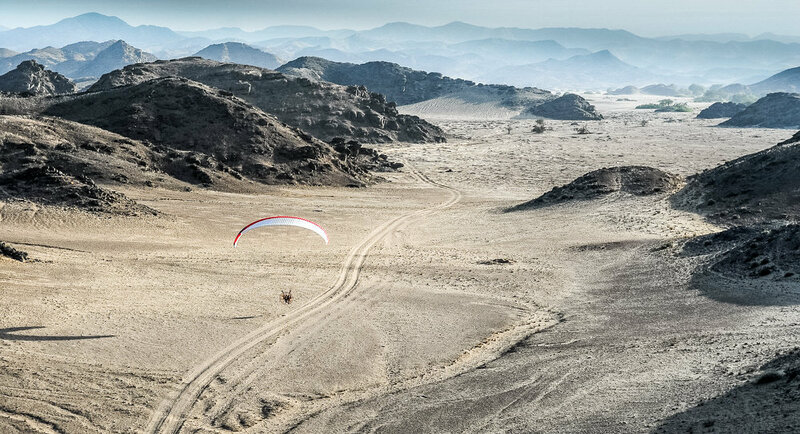 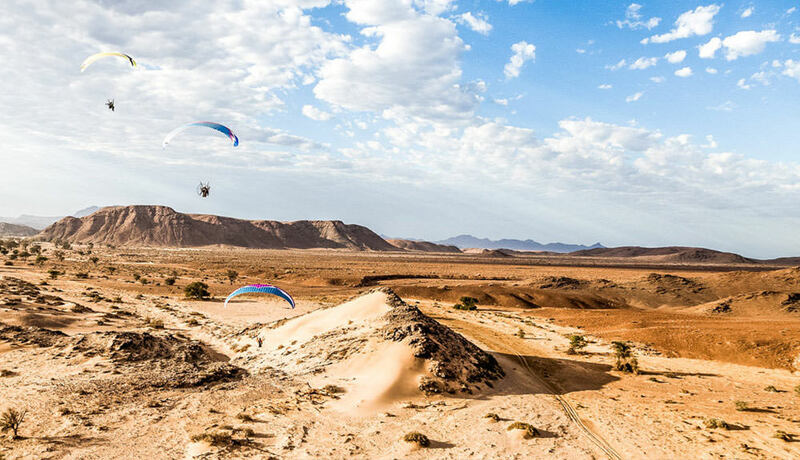 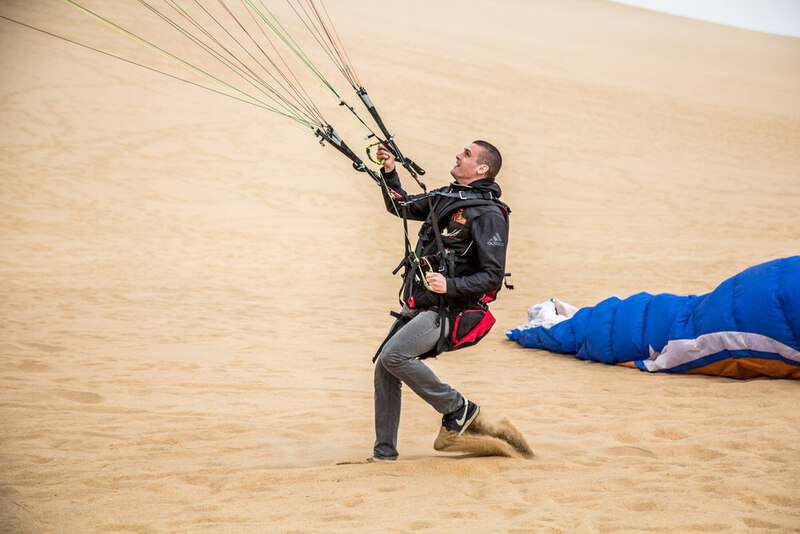 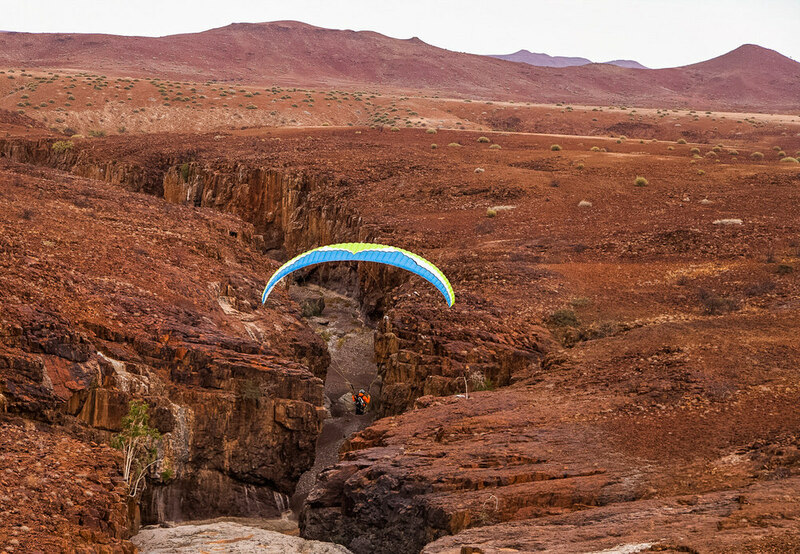 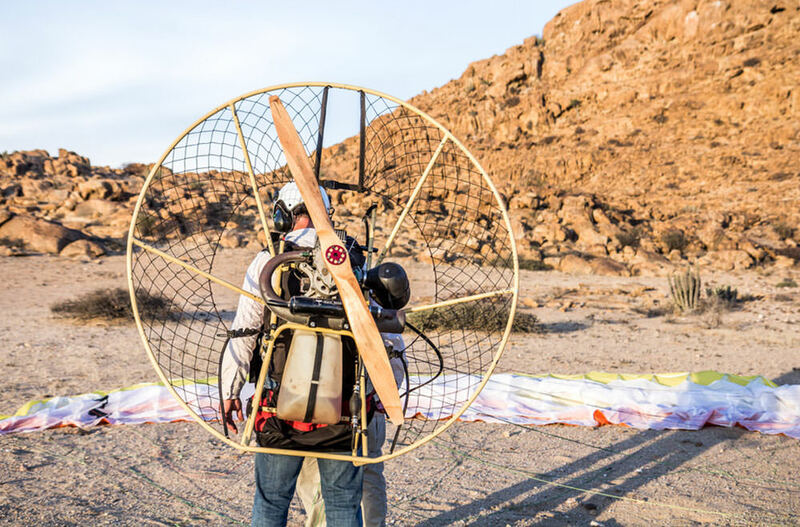 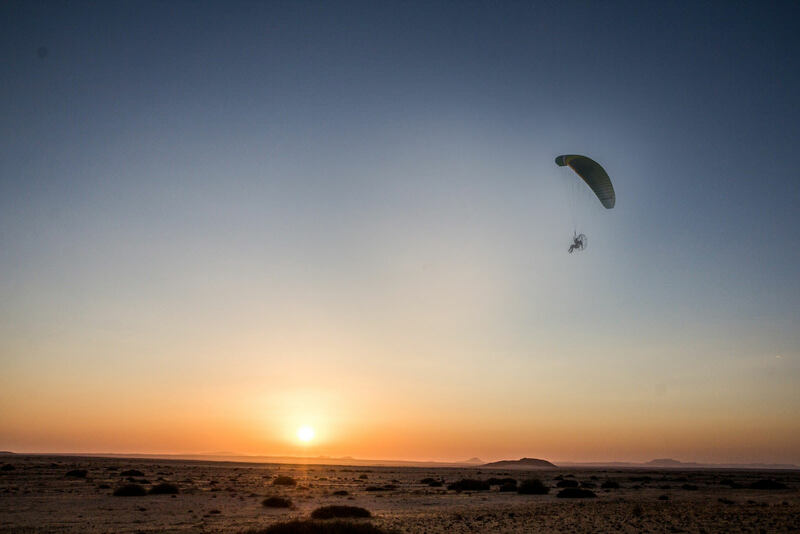 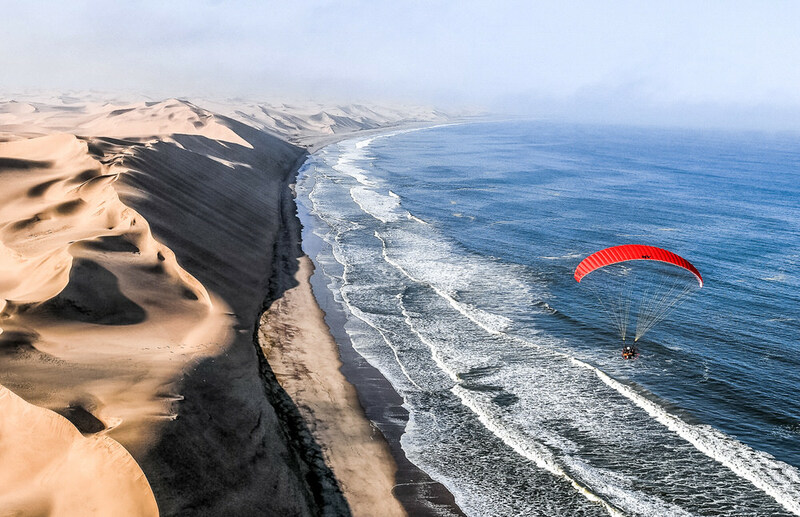 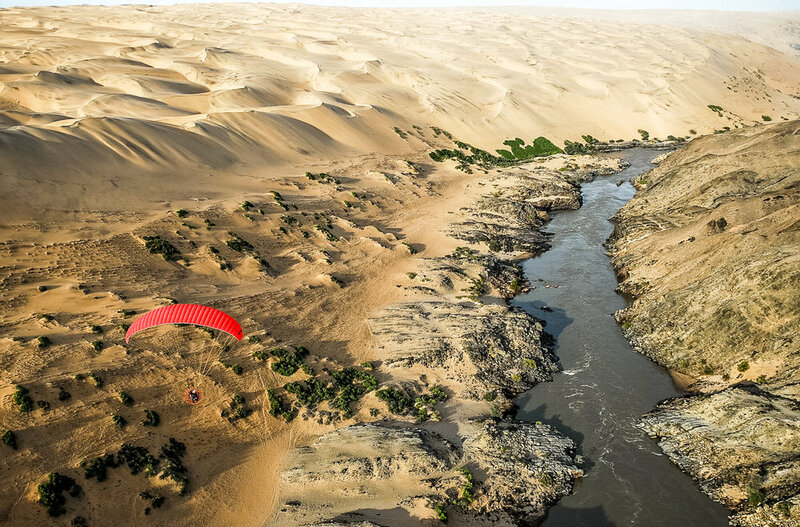 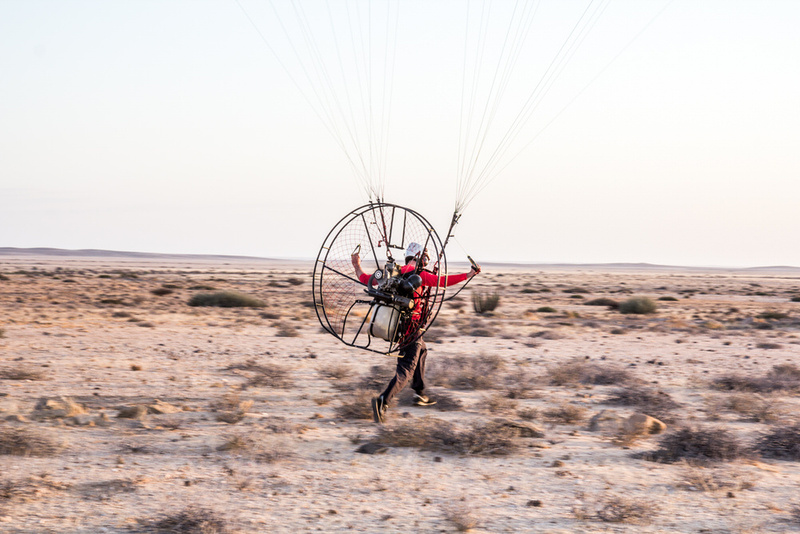 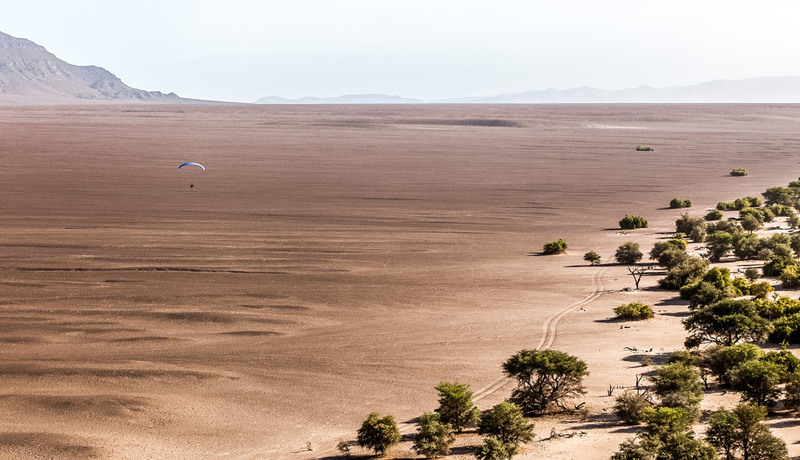 An unforgettable expedition, featuring you, piloting your paramotor into the most secret places of Africa. 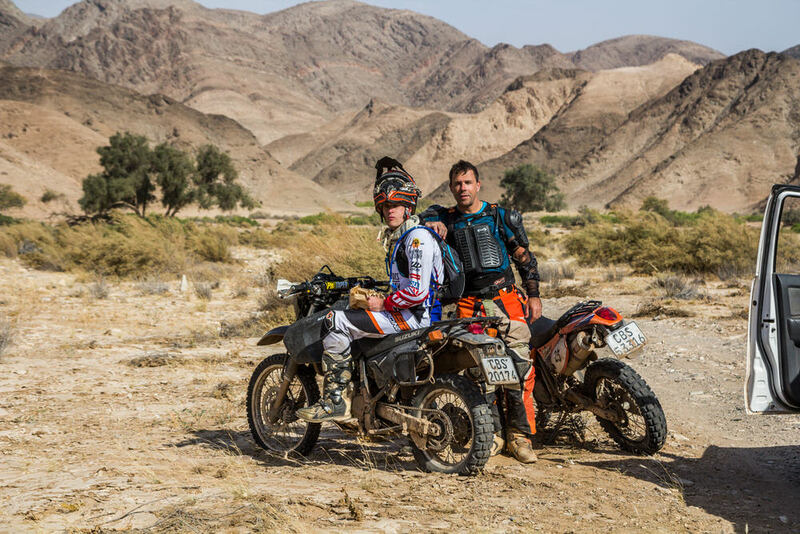 Co-pilot from one leg of the rally to the next with our 4x4 or bridge it yourself with an offroad motorcycle.